Dr Annalise Papa is a Senior Associate within GANADO Advocates’ Corporate Services team with particular focus on mergers, acquisitions, continuations and joint ventures. 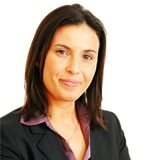 She assists both local and international business clients on a broad range of matters including legal due diligence processes, corporate restructuring and corporate finance projects. Annalise also regularly assists clients with their ongoing corporate and commercial work – both local and cross-border – including the formation and conversion of companies, corporate governance issues, share dematerialisations and voluntary dissolutions. Annalise enjoys delivering training sessions on corporate law issues both at the firm and externally as well as her involvement in the firms’ corporate social responsibility initiatives. More about Annalise and the firms’ corporate practice here. Dr. Annalise Papa is a Senior Associate within GANADO Advocates’ Corporate Services team with particular focus on the formation and legal support of companies. Juridical Interest as a Prerequisite for Environmental Actions: Myth or Reality?